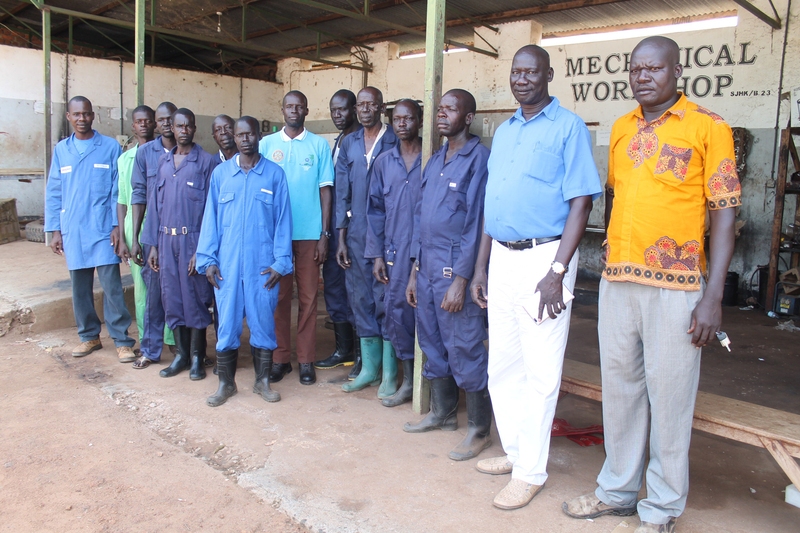 St. Joseph’s workshop was started in the year 1989 when it split from AVSI maintenance workshop by then operating from Kitgum government hospital during the time AVSI was implementing a health sector program in Kitgum District. 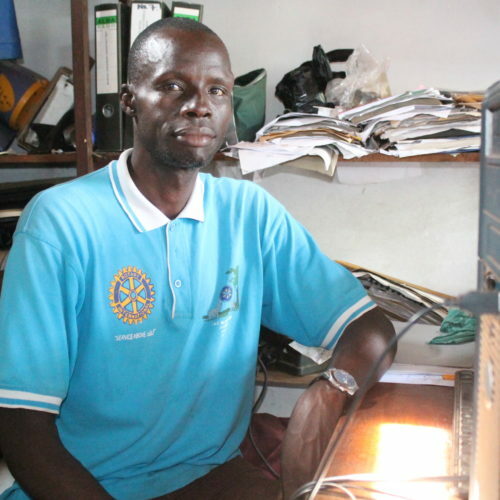 The new born workshop was simply meant to cater for minor repair of electrical appliances and maintenance of the generators; this was headed by one electrician and a generic helper and operated from a container designed to suit a working condition before it was expanded to the current state. The department comprises of 28 personnel; headed by the Work shop Supervisor & assisted by the head of building and construction section. It has seven sections which have their respective heads and reports to the workshop supervisor for the daily activities; the sections are Carpentry, Building and construction, Mechanical/ Fabrication, Electrical, Guards/watchmen and compound cleaners. Work shop department like other support staff is overseen by the Hospital Administrator as its first supervisor as is stipulated in the hierarchical policy of the institution. 1. The hospital maintenance workshop was instituted with a mandate to provide technical services and repair of its vehicle fleets, generators, medical equipment, and electricity, building and other infra structures. 2. Maintenance of general cleanliness of the compound, patients’ toilets, other infra structures and participation in providing appropriate labor force in other areas when deemed necessary or as is required by the hospital policy. 3. To provide safety and security of the patients, hospital staff (medical &non-medical) and their property. 4. Besides the maintenance need and other services, the workshop also provides training opportunities to apprenticeship (industrial Training) from universities, technical institutions and skill training to selected vulnerable youth as a contribution to mold & introduce new generations to the world of technologies. 5. 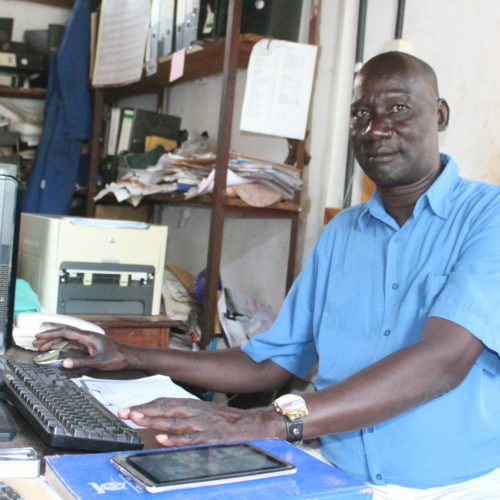 The hospital’s workshop operates at a “NO PRIVATE WORK ALLOWED” policy except in some few cases where it offers services to missionary vehicles and some humanitarian NGOs on authorization; this constitutes part of an income generation activities (IGA) for the hospital. 4. Repair and maintenance of medical /hospital equipment (oxygen concentrator, suction machines, diathermy machine, x-ray, ultra-sound machines, examination beds, operation beds, drip stand, pulse-ox meter etc). 7. 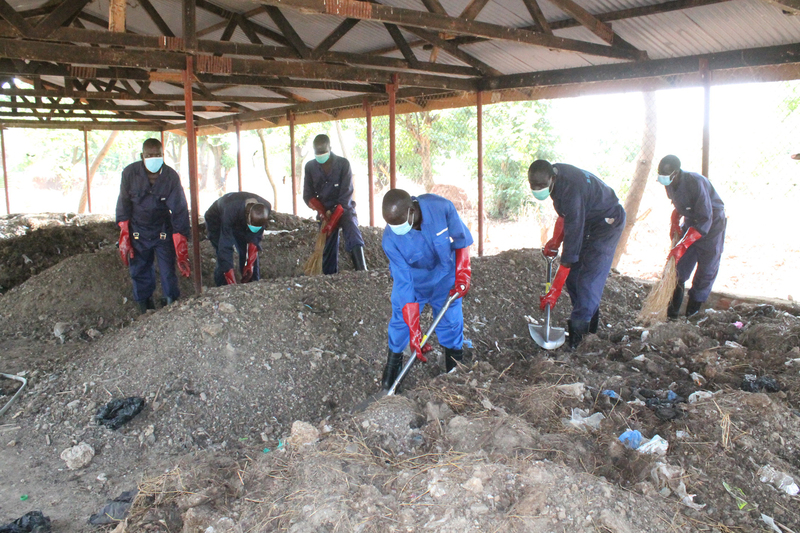 Production of organic fertilizers- composting of bio-degradable materials; the sources are basically recycling the dry human faecal waste collected from the urine diversion (ECOSAN) toilets processed in the composting site and the manure collected from the composting toilets. 8. Health care waste management (Collection, treatment, transportation, incineration and final disposal). 9. Outreach activities for community mobilizations and implementation of EPI, AIDS/HIV and foods /nutrition program. 1. The supply from Uganda Electricity Distribution Company Limited under UMEME. 2. The standby generators (6) with one that starts automatically in the absent of the main grid power (UMEME). 3. The Uninterrupted Power Supply UPS generating up to 30KVA for the very important areas in the hospital.